So you've heard the big news! We're releasing a brand new Freebies.com this April and we can't wait to hear what you think of the new experience. Why did we change it? The new upgrades and additions to the site were designed with one goal in mind: give our members more freebies, more often. We'd like to take a second and give a big thank you to our members who provided honest feedback. It helped us to improve the site for everyone, so we hope you enjoy the new freebies experience! You'll notice some big changes to the new site like upgrades to your favourite features, a new ballot system, and more exclusive members-only samples and contests. >>IMPORTANT: On the new site, you'll have an updated account page where you need to fill in your first name, last name, and delivery address so that we are able to mail you your free samples and prizes. If you do not fill out this information, we cannot send you freebies! What's New and What's Changed in Freebies 2.0? This is a big one! All member points will reset as of April 2019 and ballots will be used instead. You used to need 50 points for every entry, but now you only need 1 ballot to claim a sample, sign up for a giveaway, or enter a members-only contest. We know many of our loyal members have worked hard over the years to collect points, that's why to help you cash in your points in March we're also giving away HUNDREDS of free samples so you can cash in your remaining points for free full-size products. Don't worry - we're not getting rid of the daily prize draw! You will still have a daily chance to win, but now you'll be entering for larger prizes like gift cards and free products instead of cash. We'll still have cash prizes from time to time, but they'll now be part of the Members-Only Giveaways. You will now have a personalized experience that helps you keep track of your total ballots, giveaways you've entered, and activities you've done. Your account page is an important place to be! >>Remember to head to your Account Page when you log in to the new site and update your contact information to include your first name, last name, and address so we can mail you your freebies. The people have spoken - you love the points hunt! So we're giving them to you more often, but you'll be hunting for ballots now. For those of you new to the Freebies Community, the Ballot Hunt is a game we play where we hide ballots all around the site for our members to find and collect. A Ballot Hunt can happen any time, on any page, so keep your eyes open! We've streamlined our shipping so it will take fewer days for your freebie to arrive! >>You'll be getting more free full-sized products and contest prizes in the mail, that's why we need you to update your maling address and full name in your account information. The new site has an address area in your Account Details where you can add your delivery address for your freebies and prizes. >>You Should Know: Freebies DOES NOT collect financial information. If you are being asked to provide credit card details, be cautious as you may have been redirected to a third-party site. We only contact our members via email, social media, and very rarely the phone if you are unresponsive. See your name on the winner list but not sure if it's you? >>IMPORTANT: We email all winners directly and send a winner confirmation through the message centre. We want our members to be able to enter as many giveaways as possible to get more freebies, so we're going to be introducing new ways for you to earn ballots in the coming months. You may have noticed Riddles are no longer on the list - we had to say goodbye to them for now, although you might see them again in the future as we know many members really enjoyed them. 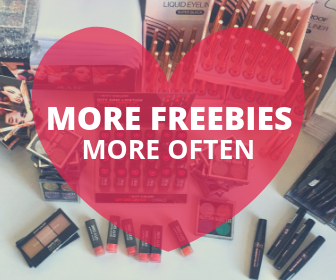 Want to know more about Freebies? We've answered some of the most common questions we get asked by newbies to the Freebies Communiy below. If you don't fnd your answer here, leave it in the comments and we will answer it as soon as we can! Free Samples: Here you can browse and enter to claim free samples offered directly from trusted brands like Vichy and Proctor & Gamble (updated daily with offers in your country). Coupons: Printable and digital, here you can download and save the most valuable coupons from across the internet from your favourite brands and restaurants. Contests: From cash sweepstakes to grand prizes, we find and list the contests our members dream of winning and give you the inside scoop on how to enter. Members-Only Giveaways: We have our own free sample giveaways, full-size product draws, and contests every month. They're only open to our members and can be entered as many times as you want using the ballots you earn on the site doing things like taking fun polls, watching trending videos, and reading new recipes. (1 ballot = 1 entry). Still skeptical? You can see our most recent winners here and check out this honest review on Facebook. Or just ask Margarette, who's enjoying her free essential oils! Q: What's going to happen to all of my points? A: All points will reset to zero as of April 1st, 2019 so that the new ballot system can come into place BUT existing members will get free ballots for the new site (more information on this coming to your inbox soon.) We're also giving away 1000's of free full-sized beauty and baby samples in March so you'll have extra chances to cash in your points for freebies. Q: How do I know this isn't a scam? A: These free samples are 100% real. The largest, more trusted brands in the world from Procter & Gamble to M.A.C. Cosmetics use free sampling to promote their products. Freebies.com INC has been working with companies for years to distribute thousands of freebies to our members. Companies that are interested in working with our team should reach out to contact@freebies.com. Q: I see other people getting samples and winning contests but I've never got anything. What's up with that? A: Our most active members tend to get more freebies because some giveaways and contests depend on your community activity. That's why we've made changes to the ballot system that will make it easier for ALL of our members to get more free samples, more often. >>You Should Know: Free samples directly from a third-party company are usually either limited time, limited quantity, or you must qualify for them (such as by gender, age, or if you have children). Q: Do you ever collect my credit card information? A: No, Freebies does not ask for credit card information. If you are being asked for any financial information, you may have been redirected to a third-party website. We ask our members to please report any fradulent offers to our team at contact@freebies.com. Q: Does the new website have surveys? A: Freebies.com does not have surveys. You only have to confirm and set up your account information when you register so we can mail you your freebies and prizes. >>You Should Know: It is common for free samples offered directly from a third-party company to ask you to complete a survey to qualify for it. Q: Do you sell my information? A: Some of the free samples and contests on our site are offered in partnership with other companies, in which case you will be asked if you wish to share your information with them for promotions and other communications. See our Privacy details for more about how we protect your information. Q: Will I get telemarketing calls when I join Freebies.com? A: Freebies does not contact our members over the phone. The only phone call you might recieve from our team is if you are unresponsive via email and social media and have won a prize. Some offers are from third-party companies that may ask for your phone number, so please pay attention to the requirements of any free sample. Q: Why are some countries not available anymore? A: Due to contesting legislation that came into place in 2018, we can no longer offer contests and free samples to members outside of Canada, United States, and the United Kingdom. We invite those members outside of these three countries to continue taking advantage of our printable freebies, coupons, and savings advice. Thank you all for being a part of our Freebies Community! >>Want to show off your latest freebie? Make sure you use the hashtag #FreebiesDotCom to be featured in our Winner Hall of Fame AND to be entered to win even more prizes. Not part of the Freebies Community? You can join for free right here and starting collecting freebies today.